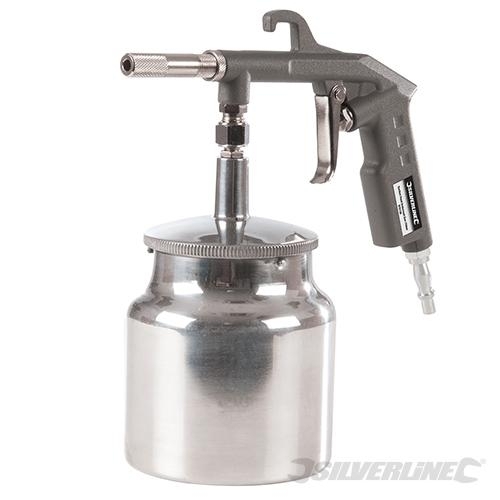 High-pressure suction-feed undercoating gun with 750ml pot capacity. Operating pressure 3 - 5bar, 8bar max. Air consumption 85 - 227L/min (3 - 8cfm). Includes both UK and European 1/4" quick connectors.